A piece of the common office tape is often called a "plakbandje" and a roll of similar tape a "rolletje plakband". Since both are small, the diminutive is used. Larger tape that is for instance used to close boxes is called "tape", just like in English. – "Heb jij een rolletje plakband voor mij? Die van mij is op." – "Mijn favoriete merk plakband is Scotch." – "Punaise": drawing pin, thumbtack. 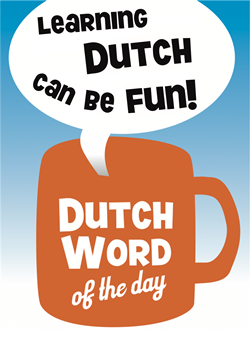 This entry was posted in Dutch word of the day, DWOTD 1.0, Vocabulary Basic and tagged plakband by Dutch Gurus. Bookmark the permalink.